Since the untimely passing of my blog editor, I've been having difficulty getting back into reviewing movies. I was actually starting to believe that some part of me had just died off, as well. Today, while working from home, I dove head first into Lazarus Effect. 35 or so minutes from the end of it - I realized that I do, indeed, still have the desire to dissect movies. Alleluia. Hold that praise a moment: I've got to admit, this movie is way too easy a target to really count as "inspiring me to return to my blogging greatness." Regardless, I'll count this as progress. 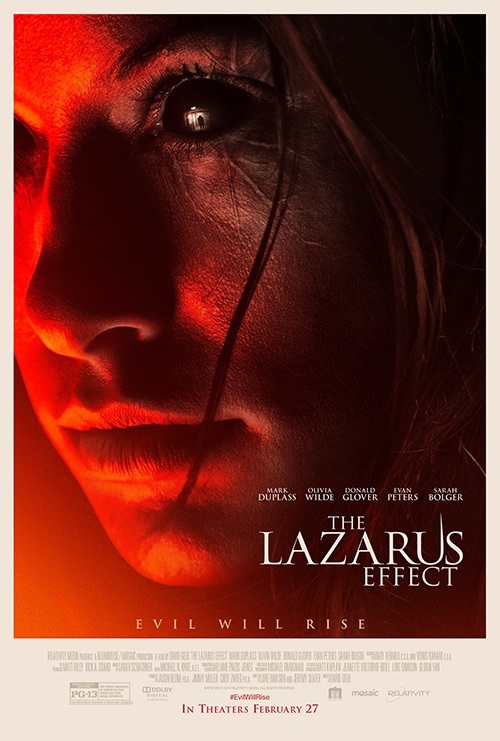 Here's the gist: if Pet Cemetery had an illegitimate baby with Flatliners and that baby got hot and heavy with Hollow Man - the resulting creation might look something like Lazarus Effect. But, I suppose that really just scratches the surface of it. Aside from the completely unoriginal story, the technical side of things wasn't awful: they had enough budget to get their effects in order and the (minimal) gore was pretty good. I tend to think they were reaching for more psychological terror than graphic display, so in that context, I suppose the movie was a success. On a scale from "I totally wasted that 2 hours of my life and I want to kill whoever made that movie" to "OH MY GOD! I HAVE TO SEE IT AGAIN!" - I'd rate this one as, "I didn't entirely hate the experience and (oh yes) I've seen way worse." - Everyone loves Olivia Wilde and desperately hopes she'll take her clothes off in any movie she appears in. And there you have it, folks. My return to blogging. My half-heatered apologies for typos and bad grammar.